Our ACE timetable provides an extensive fun-filled programme of Arts, Culture and Exercise activities for preschool, primary and secondary children aged under 16 years. For preschool children, have a browse through our Tiny ACE brochure. All of our classes can be accessed either on a pay-as-you-go basis or through our Tiny ACE membership (launches 16 August 2018) or ACE membership. Download the Tiny ACE membership leaflet. A concession of up to 50% is available for Leisure for All cardholders. A 20% discount is also offered for the siblings of one full paying child or for a child that is already a swimming lesson member. 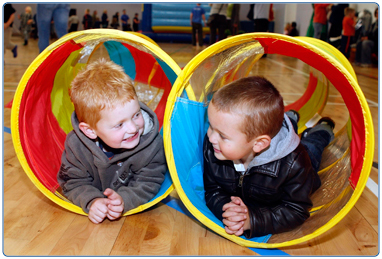 South Lanarkshire Leisure and Culture offers a vast range of activities for children, from tots to teens.